Vails honed his craft as a bike messenger in New York City. On the velodrome at the 1984 Summer Olympics in Los Angeles history was made. 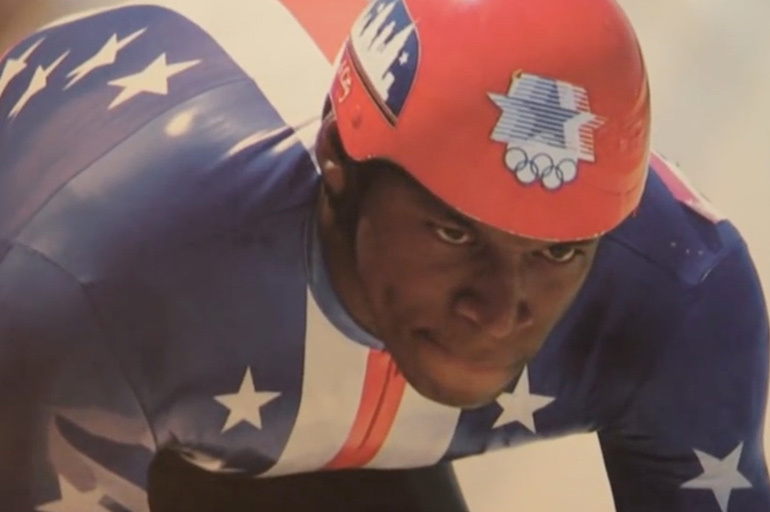 Racing for the United States, Nelson Vails won the silver medal in the sprint to become the first African-American cyclist to win an Olympic medal. And, it all happened on a Raleigh bicycle. For decades, American cycling’s elite came from, well, the elite. They didn’t develop their Olympic-caliber talent by outsprinting garbage trucks and dodging aggressive taxi drivers. Then along came Vails. Hailing from the hard streets of Harlem, day after day – “The Cheetah,” Vails’ nickname – blasted his way through busy streets and dark alleys at his day job as a bike messenger. Night after night, he chased down the strongest riders he could find in Central Park. It’s this inspiration that helped bring to life a trio of new urban bikes Raleigh launched this week in celebration of Vails. The collaborative fixed-gear bike project with Big Apple roots also includes the artwork of prolific NYC-based graffiti artist Zephyr, a childhood friend of Vails. A serious bike racer in his own right, Zephyr and Vails’ early years in Harlem and Manhattan come out graphically on the new Teaba, Back Alley, and Rush Hour bikes. Consider it a graphic tribute to two people who changed the game. 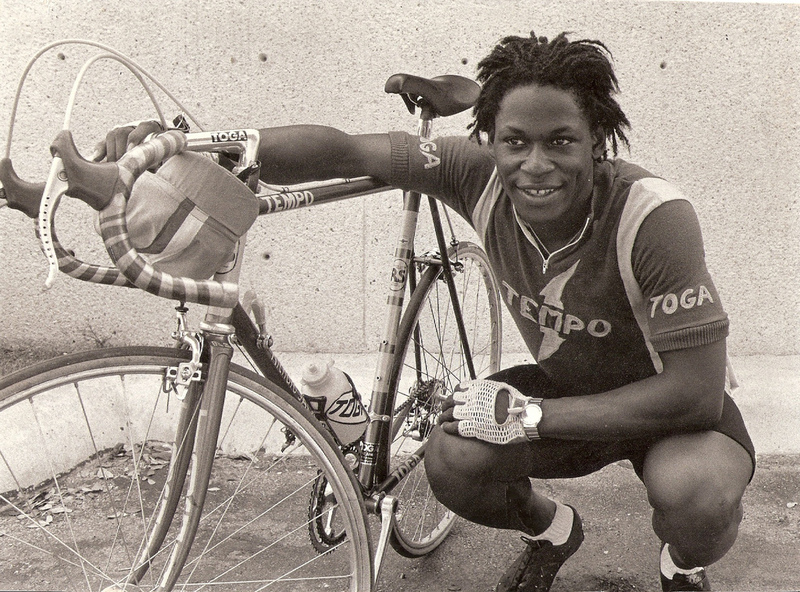 In 1984 Vails became the first African-American cyclist to win an Olympic medal. Tapping into their past together with Raleigh steeds as the canvas, Zephyr and Vails have created three urban-focused gems that are as unique as what inspired them. Teaba, Vails’ boyhood nickname and his namesake bike, is a modern take on the straight-up racing whips Vails pedaled to countless victories. Pairing a custom-shaped aluminum frameset with a lightweight carbon-fiber fork and a parts package picked by Vails himself, the fixed-gear, singlespeed Teaba is quick, thrilling, and strikingly-stylish. The ride also comes with bullhorn pursuit bars, toe clips, and extra brake levers and grips. The artwork on the frame features meaningful, original illustrations by Zephyr including Vails’ signature Converse Chuck Taylor sneakers, an iconic dime (what Vails used to call his messenger service for the location of his next job), the flags of the NYC checkered cab (which Vails grabbed bumpers to catch rides), the notorious TOGA bike shop (where messengers gathered), and Cat’s Paw Hill in Central Park (where Vails and the crew met to ride and skate), among others. MSRP: $1100. 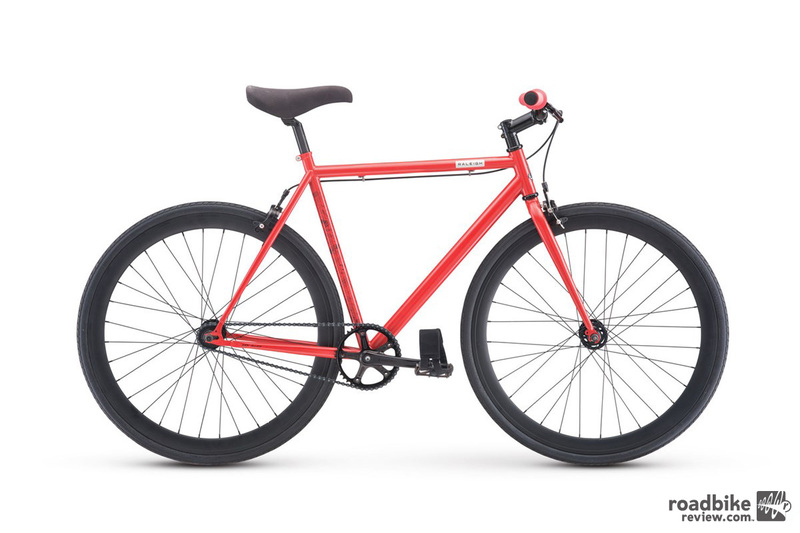 Designed for tackling the side-streets of the urban jungle, the Back Alley is a fixed-gear, singlespeed steel bike made with equal parts artistry and attitude. It features flat bars and puts the rider in a more upright riding position to spot and dodge obstacles ahead. The Back Alley boasts riser handlebars for wheelies and bunny hopping off curbs, BMX-style grips, steel tubular fork, and fixed-free capabilities (to run as a singlespeed or fixed-gear), as well as removable brake hardware/cable guides for a clean look. The bike’s graphics include similar artwork to The Teaba that draw from Vails’ life story. MSRP: $400. 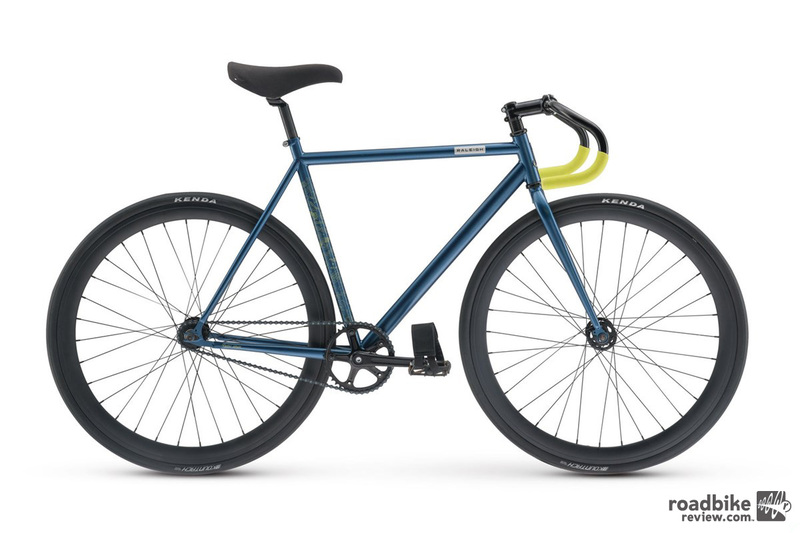 Designed for beating traffic and mastering backstreets, the Rush Hour is a fixed-gear singlespeed steel bike with Satori track handlebars for a more aggressive road-riding position. 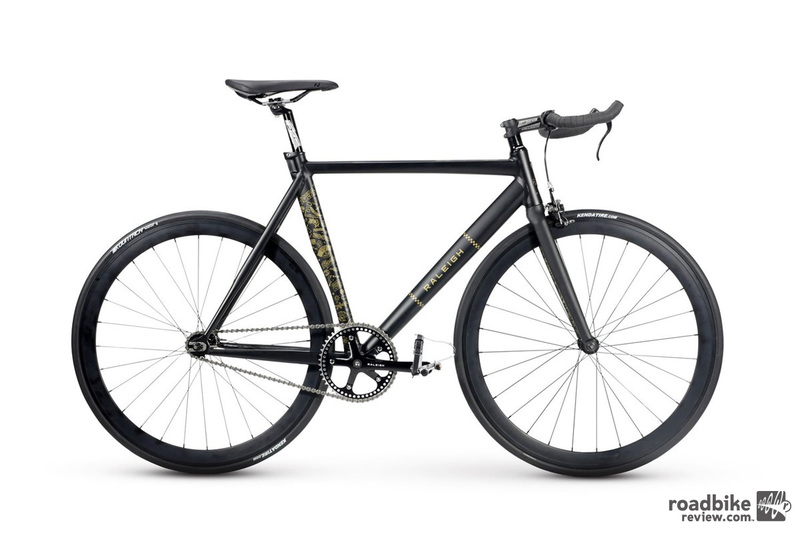 The bike features a steel tubular fork, and fixed-free capabilities (to run as a singlespeed or fixed-gear), as well as removable brake hardware/cable guides. Zephyr’s graphics for the bike draw from Vails’ history as a bike messenger and pro cyclist, which accentuate what it feels like to ride the Rush Hour: pure fun. MSRP: $400. Head to www.raleighusa.com to learn more.